Times sure have changed. Playing “Cowboys & Indians” outside has been replaced with playing “Halo” or “Call of Duty” in a darkened room. Heck, it’s probably so politically incorrect to even mention “Cowboys & Indians” that someone somewhere is having a tizzy. 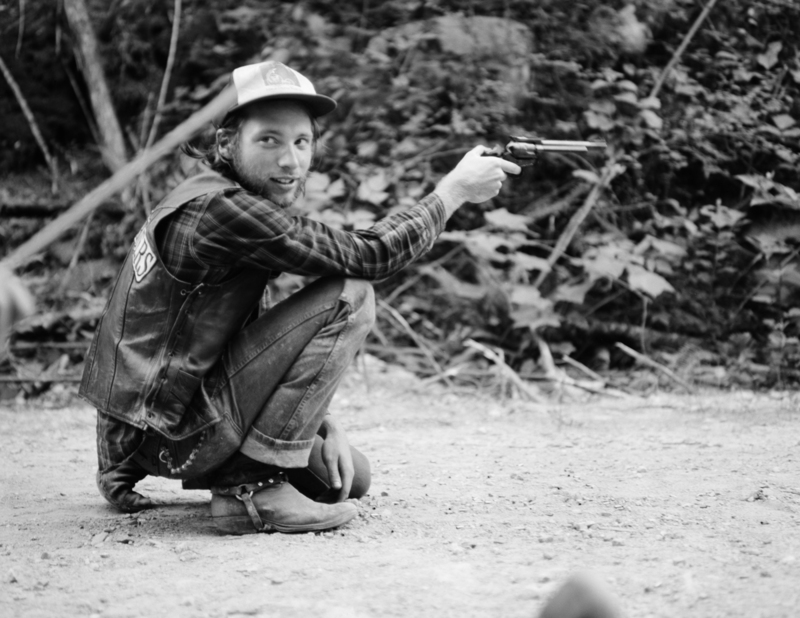 The American cowboy is an icon of grit, honor, independence and masculinity. Hard work, long days, and little pay except for the open sky, a horse to ride, a hot meal and a drink or two to wet your whistle. Maybe even a dance with a pretty girl if yer’ lucky– and don’t stink to high heaven. 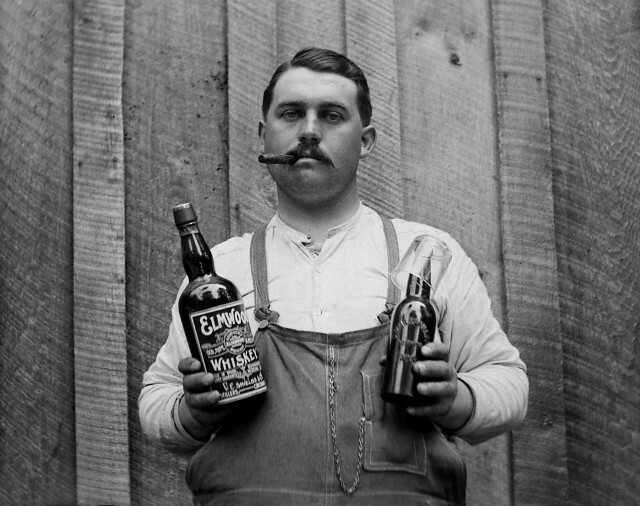 The 1910s – 1930s saw the Wild West American lifestyle move largely from a way of life, to ever-increasing faded memories and mythology. Our country was getting smaller. 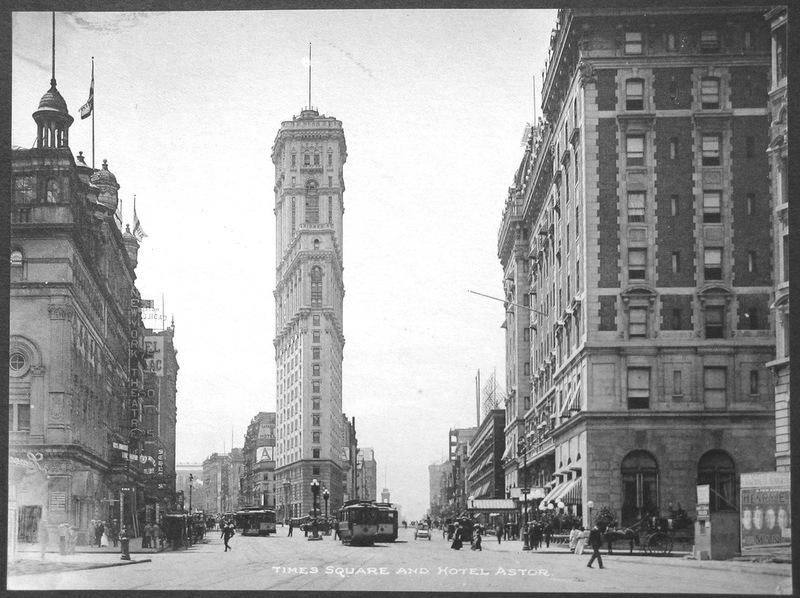 Technology and transportation were ushering in a new era of industrialized cities and advanced accessibility. 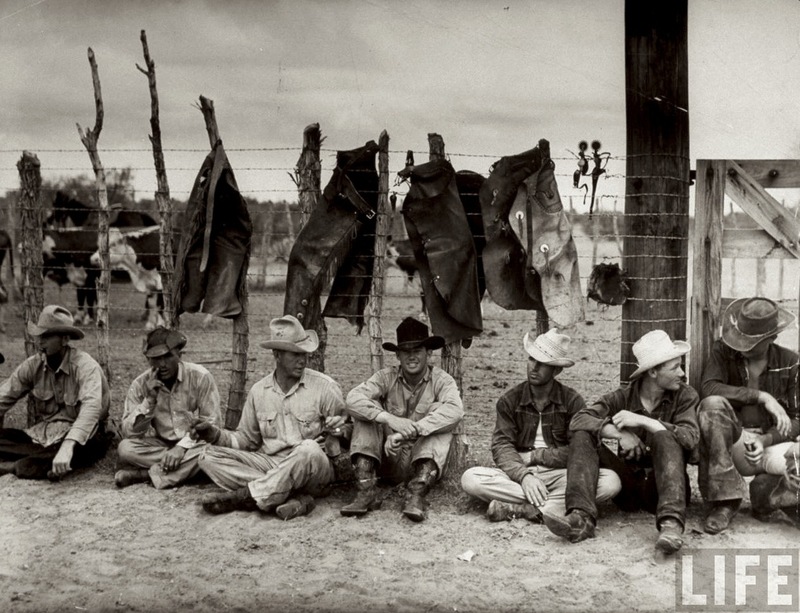 The real jean-wearin’ cowboy lifestyle of days past were kept alive over the decades largely through the Western fashions worn by the stars of silver screen and music. These images are some of my favorite captures of the American cowboy at the very end of his reign– many not surprisingly taken by LIFE photography giants like Loomis Dean, and Ralph Crane to name a few. Some, unfortunately, are uncredited. 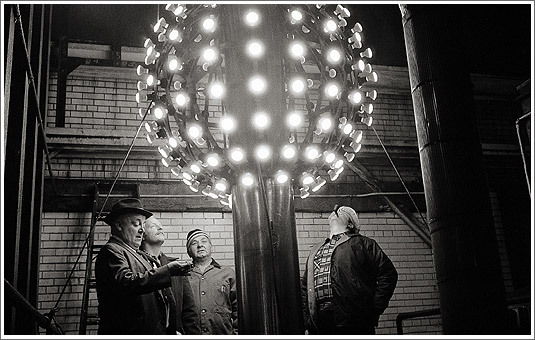 If you know the pic, give me a shout so I can give the photographer their due, please. 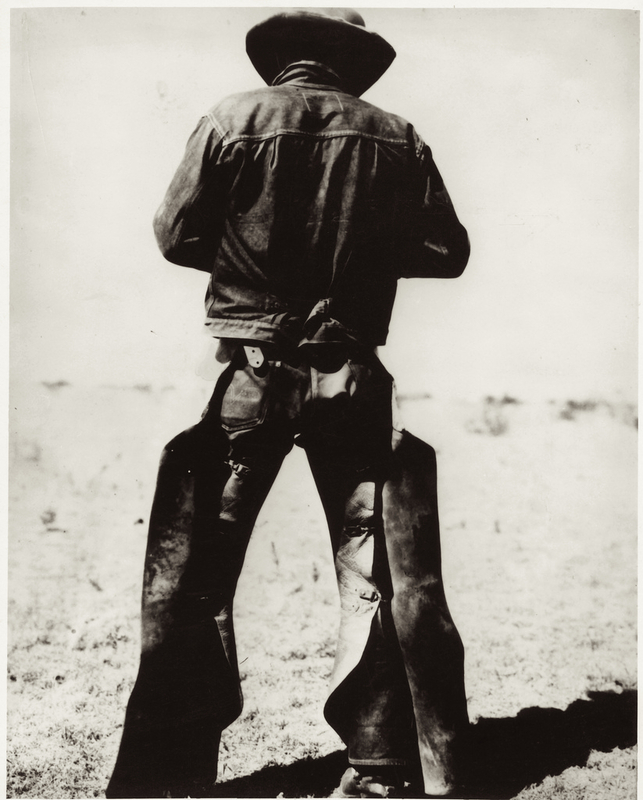 circa 1934– “Rear view of a man wearing chaps and spurs” –Photo McCormic Co., Amarillo, Texas. These guys (Eh-hem…and gal) are cool because they’re not tryin’ to be– they’re simply doin’ what they love to do. Riding. 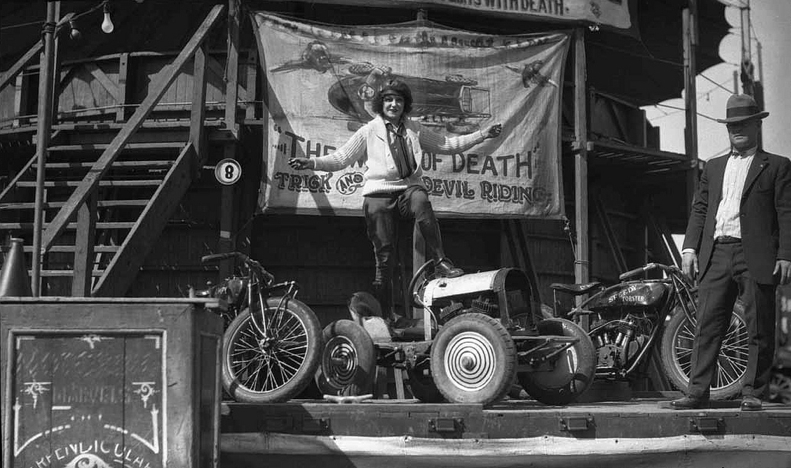 These epic shots taken back in the 1940s & ’50s perfectly show the natural, raw beauty of motorcycling in its purist form. 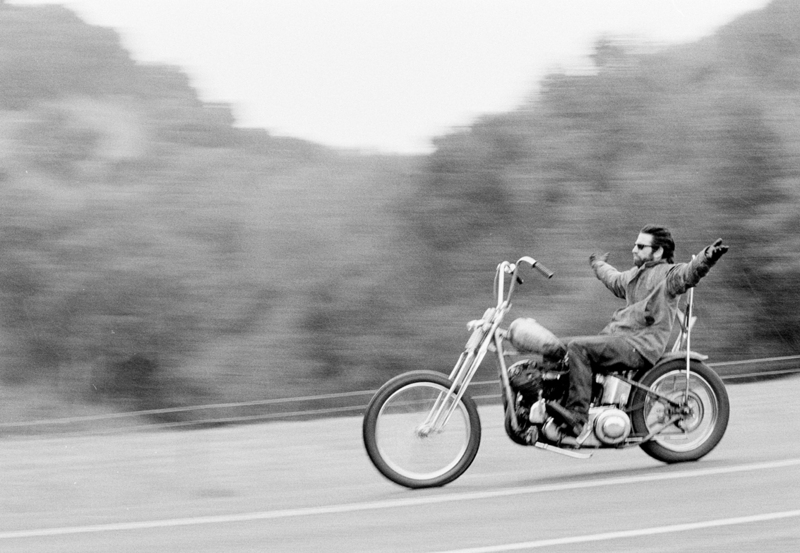 The gear is no-nonsense and rugged sportswear, and the expressions of grit & joy on their faces are priceless– captured by the legendary motorcycling photographer Bob Magill (1917-2005). 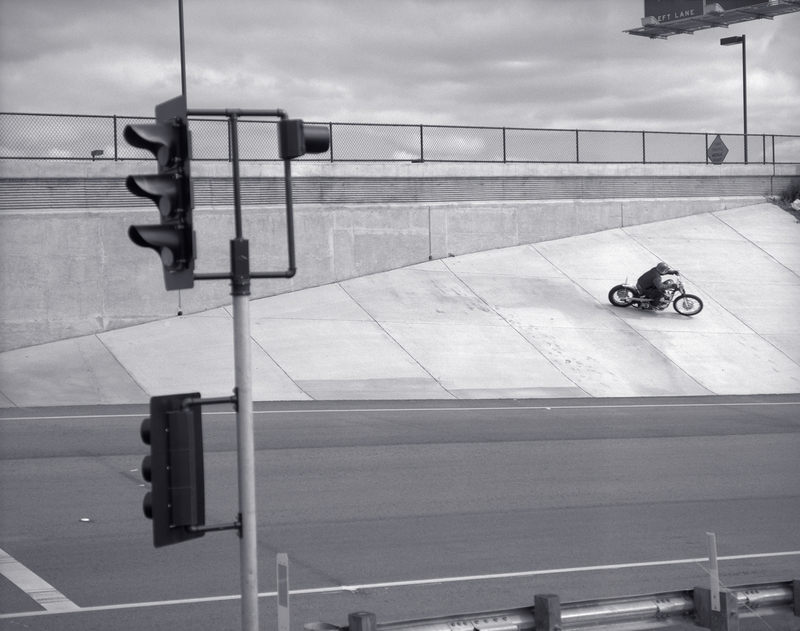 Riding never looked better. Rolled, warn denim. Engineer boots. Leathers and goggles and caps– oh, my. 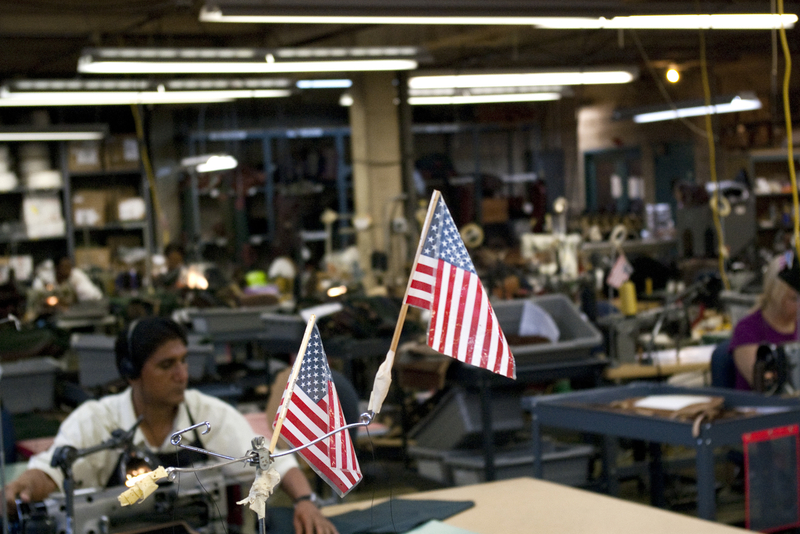 A MADE IN AMERICA STORY – SINCE 1905 | J.W. HULME CO. The term “luxury brand” gets thrown around a lot today, and as someone in the branding business, I can attest that every brand secretly covets this moniker as a way to charge more for products and services around the world and dupe the masses into even more consumption. Yet, somewhere along the way, I think we lost sight of what true luxury is and we bought into a lot of superficial hype about what constitutes luxury. In the last few years, when ostentatious displays of wealth became a sorry substitute for understated class, it became harder and harder to sift through all the junk. A luxury in its purest form, so the thought goes, is not a necessity; it just makes life more fun to live and delights you in small ways. I think I derive pleasure from certain things because I like that they are well made, have a story behind them, and most importantly are not out there for mass consumption– I get a small thrill knowing that not everyone has it. You can call it small batch, artisanal, or limited edition– all would apply. I like the term “Heirloom Brand” — the idea that true luxury is something you can pass on to the next generation and have it be as relevant as when it was first purchased. With that in mind, I recently interviewed Jen Guarino, one of the principals of the bag maker J.W. Hulme, a 105 year old institution in St. Paul, Minnesota where they have forgotten more about the making of the best quality canvas and leather bags then most of us will ever know. I’m curious about something, why with a rough economy and a consumer who rationalizes every penny, why would you get into this business? Yeah, I know, you can start any kind of business but when my partner and I found JW Hulme it was so solid, so real, so true– it was just the right fit. When we first saw the factory we were stunned by the level of skill these artisans have– you just can’t find this type of history or knowledge in people anymore. We recognized this as a huge asset and bought it in 2003. Prior to that JW Hulme was a 100 year old manufacturing company sitting on its heritage– dating back to WWI. We just recognized a diamond in the rough. Incredible, so you’re saying this company that makes some of the finest bags in the world was just sitting up in St. Paul and no one knew about it? 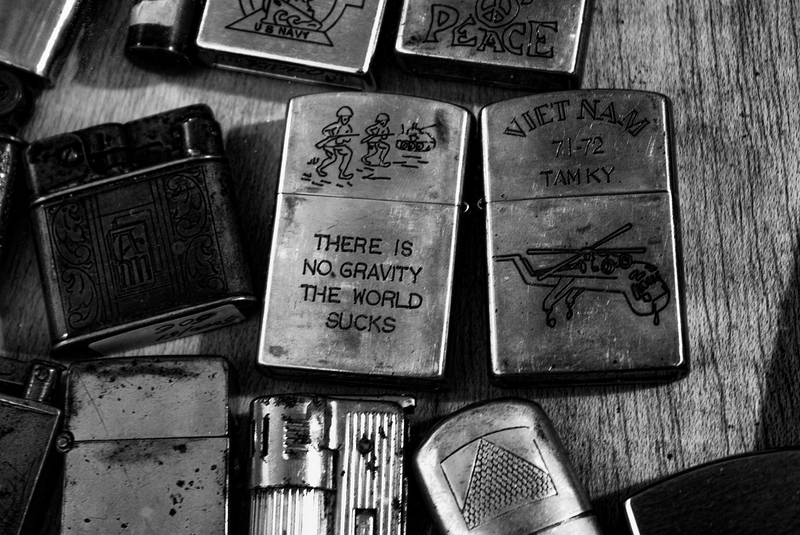 The history of the brand, I guess like all great American brands, was that of a manufacturer. The Hulme Brothers started their business making tents for the War department during WWI and WWII. 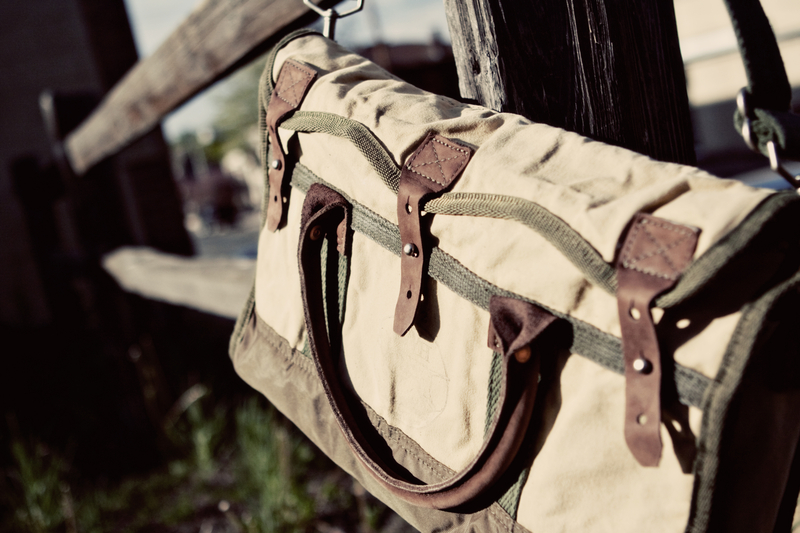 After the Second World War ended, they made awnings for Minneapolis society and began to make gear bags for Minnesota sportsmen. 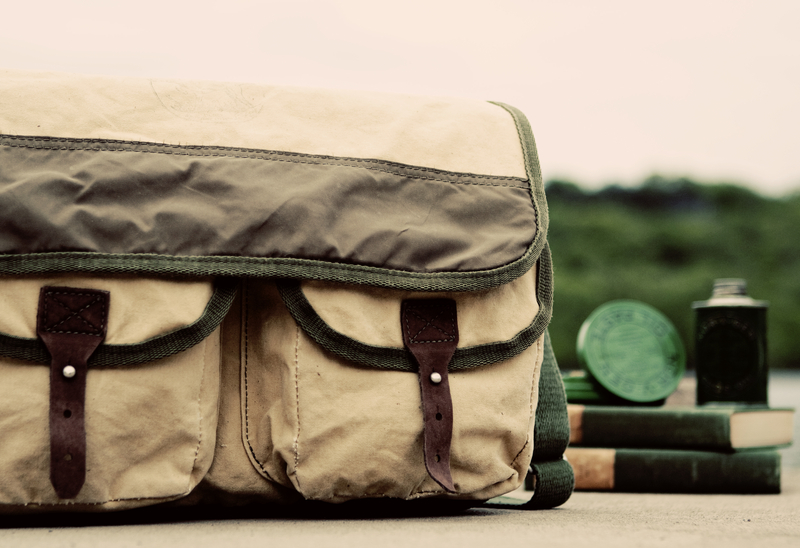 The company really served as a manufacturer for brands like Orvis and Gokey. We had all the craftsmanship under our roof, we just chose to celebrate it as uniquely our own. 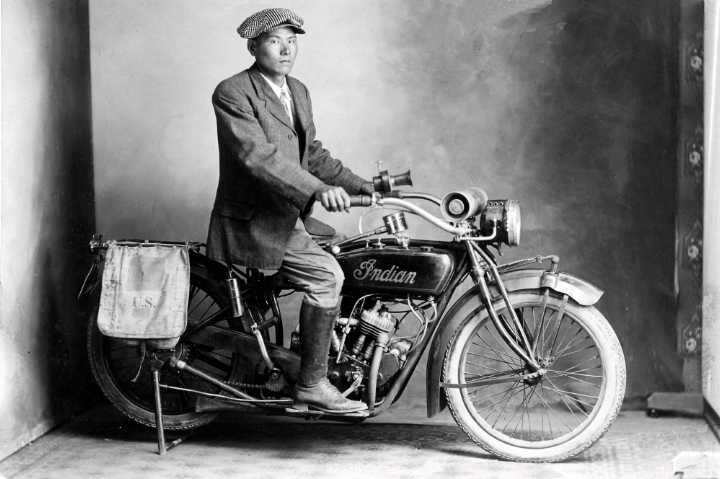 The 1920s marked a decade of growth and model expansion for Indian. The Powerplus-era street bikes, known for their durability and performance, gave birth to the new Scoutin 1920 designed by Charles B. Franklin– featuring a 37 cubic inch (600 cc) V-twin engine. 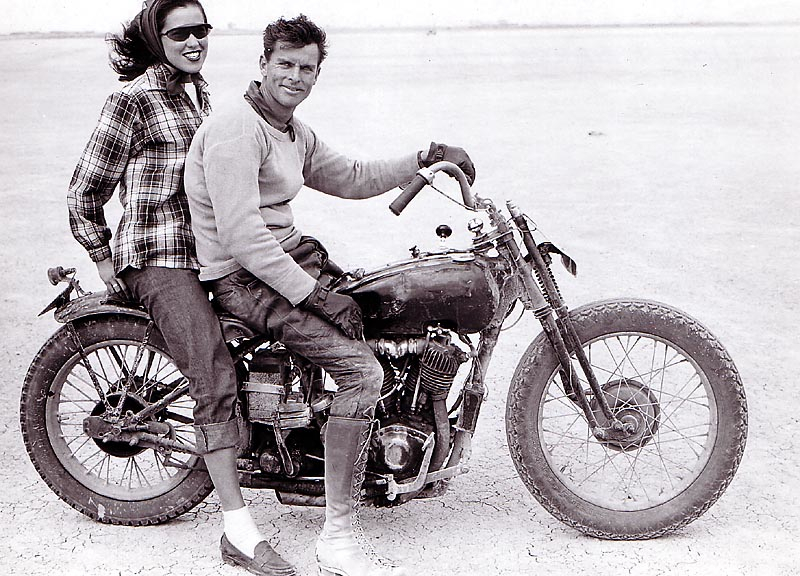 The low-slung Scout model, with its long wheelbase, innovative semi-monocoque construction, three-speed transmission and helical-gear drive, was an immediate hit with performance riders on the street, dirt tracks, and endurance circuits alike. The Scout wasn’t the most powerful bike on the market, but it gained a following for its responsiveness and agile handling. In 1928, Franklin masterfully tweaked the Scout, and in the process created the 101 Scout— with an even stronger frame, superior suspension and steering, longer wheelbase, increased fork rake, lower seat, addition of a front brake. and beefed-up engine putting out 45 cubic inches (750 cc) of displacement. The result was what many consider to be the best bike Indian ever built. The New Indian Scout– Power, Swiftness, Stamina, Economy! Sport riders and racers were drawn to the 101’s performance– and the new Scouts enjoyed a strong run dominating the competitive scene. Unfortunately, the 101 model lasted a scant four years in the Indian model lineup. 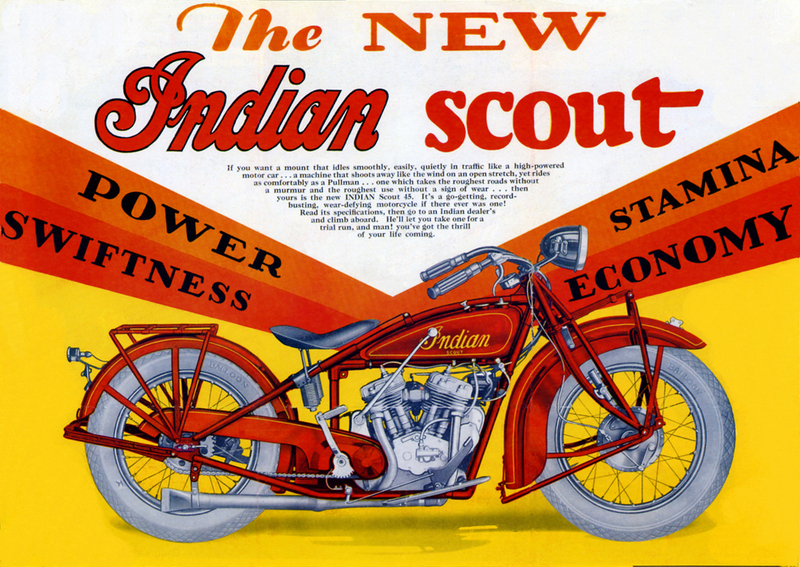 The country’s Great Depression forced Indian to cut production costs– and the 101 Scout was an unfortunate victim of downsizing. 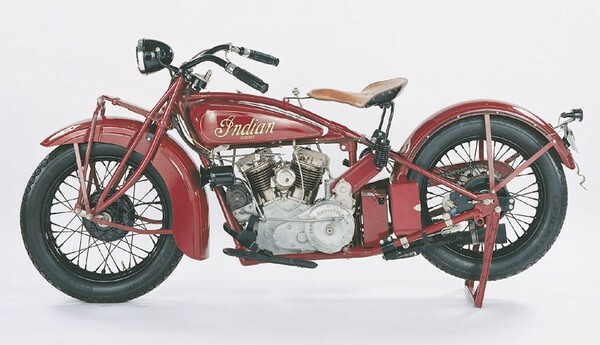 In 1932, to cut down production costs, Indian began pairing the Scout engine with the larger Chief frame. The matchup resulted in a motorcycle that was bulkier, heavier, and according to many– not as capable on the performance front. The legendary 1929 Indian 101 Scout motorcycle– many would say it’s the finest bike Indian ever made. 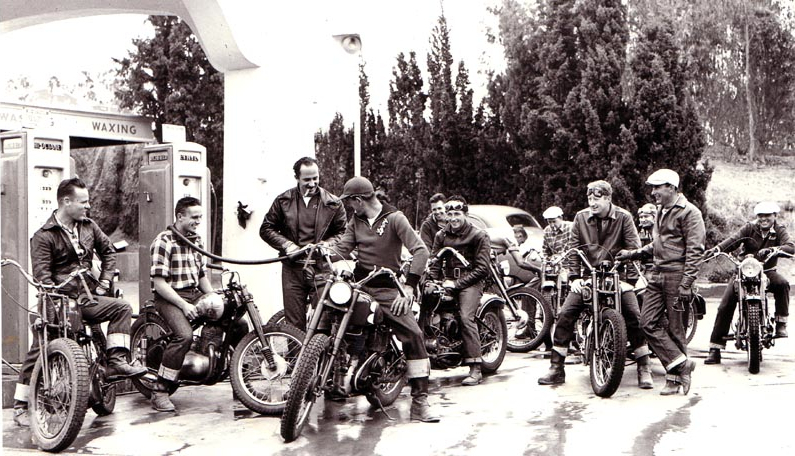 1922 saw the introduction of the Scout’s big brother– the 61 cubic inch (1000 cc) Indian Chief. Soon to follow was the Big Chief, introduced in 1924 with a 74 cubic inch (1200 cc) that could easily cruise at hit 85 mph fully stock– and in the hands of a masterful motor-head could be tuned to scream at well over 100 mph. In 1940, all models were fitted with Indian’s signature sweeping skirted fenders, and the Chief was fitted a new soft-tail frame– vastly superior in terms of rider fatigue when compared to rival Harley’s rigid hard-tail. The Indian Chief soon cemented a reputation as being the very best touring motorcycles money could buy for quality, comfort and performance. 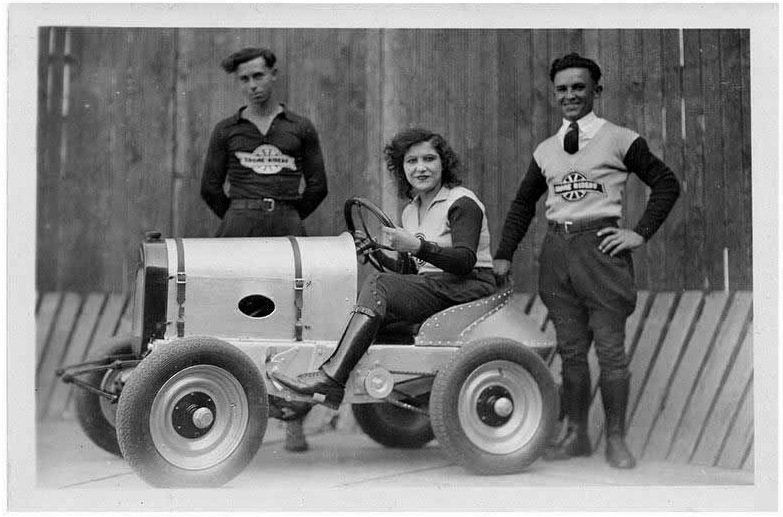 Circa 1920s– Lillian La France in her early Motordrome riding days. This must be 1924, or so. She looks a little green, and that signature smile and exuberant confidence is not quite present. 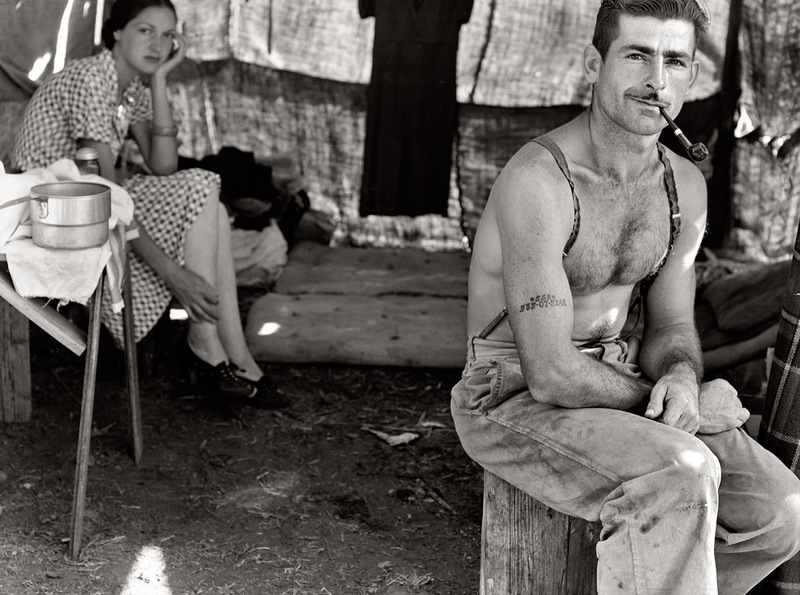 Oregon, August 1939. “Unemployed lumber worker goes with his wife to the bean harvest. 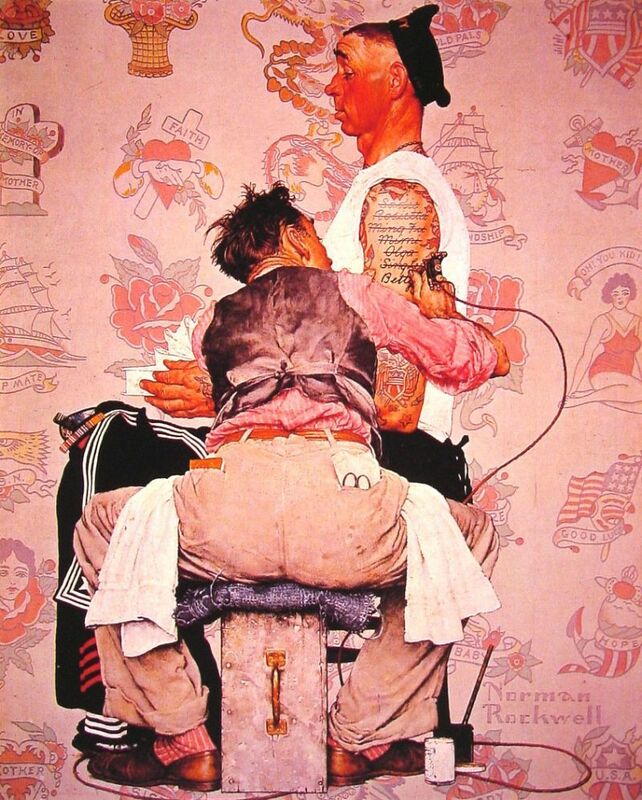 Note Social Security number tattooed on arm.” Shorpy determined through a public records search that 535-07-5248 belonged to one Thomas Cave, born July 1912, died in 1980 in Portland, OR. Which would make him 27 years old when this picture was taken. This pic has long been a favorite of mine. First, there’s the handsome rake with his devilish “cat that just ate the canary” grin, and his beautiful bride lounging in the background with her equally impressive model-worthy looks. Second, there is more than a little irony for me in this image, as we so often equate physical beauty with material success these days– but here’s a stunning couple eking out a living through sweat and toil one meal at a time. I’m tellin’ you, as sure as I live and breathe– poverty is the ultimate equalizer, folks. 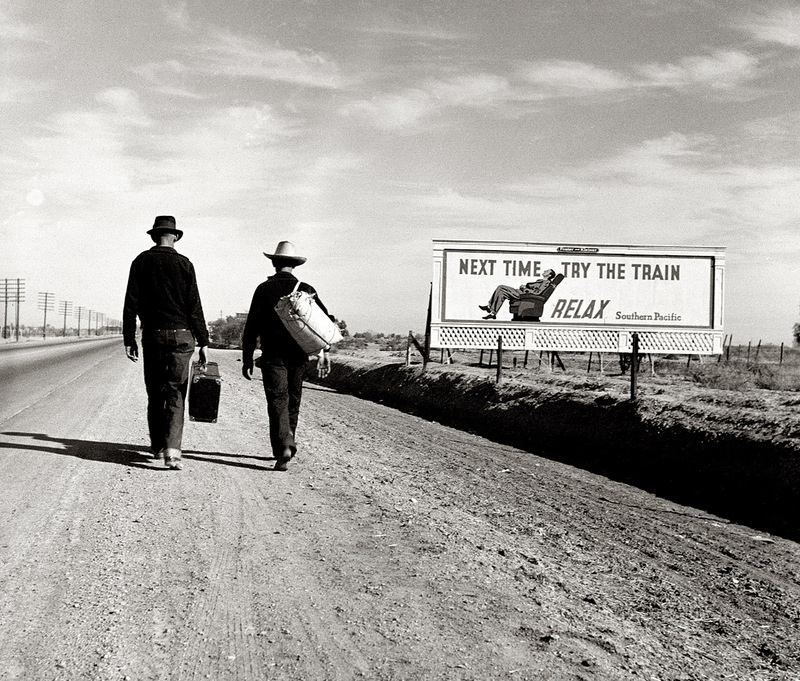 The American photographer Dorothea Lange was a product of Hoboken, NJ (May 26, 1895 – October 11, 1965). 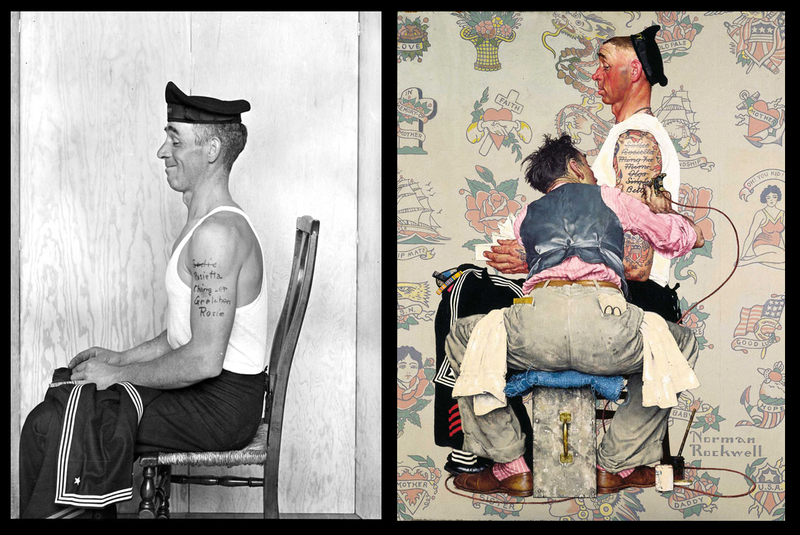 She started out her career in photography taking commercial portraits in 1920s San Francisco. Dorothea then worked in the Southwest with her first husband, painter Maynard Dixon. In the early 1930s, Lange intuitively took her camera to the streets, recording the breadlines and waterfront strikes of Depression era San Francisco. That marked the beginning of a radical shift in her philosophy & photography, that would mark her life and give us some of the most iconic American images known. In 1935, Lange began her landmark work for the Farm Security Administration, a Federal Agency. Collaborating with her second husband, labor economist Paul S. Taylor, she documented the troubled exodus of farm families migrating West in search of work. Lange’s documentary style achieved its fullest expression in these years, with photographs such as Migrant Mother becoming instantly recognized symbols of the Depression.